This bizarre house overhanging the Seine river in Vernon, 5 km from Giverny, surprises and puzzles many visitors. It seems so strange that somebody had the idea of building it this way! No wonder when you know that it once was a mill. The wheel doesn’t exist anymore. In the Middle Ages mills were currently built on bridges. Monet was inspired by this old house. He painted it from his studio boat. The painting is now in the museum of Fine Arts in New Orleans. 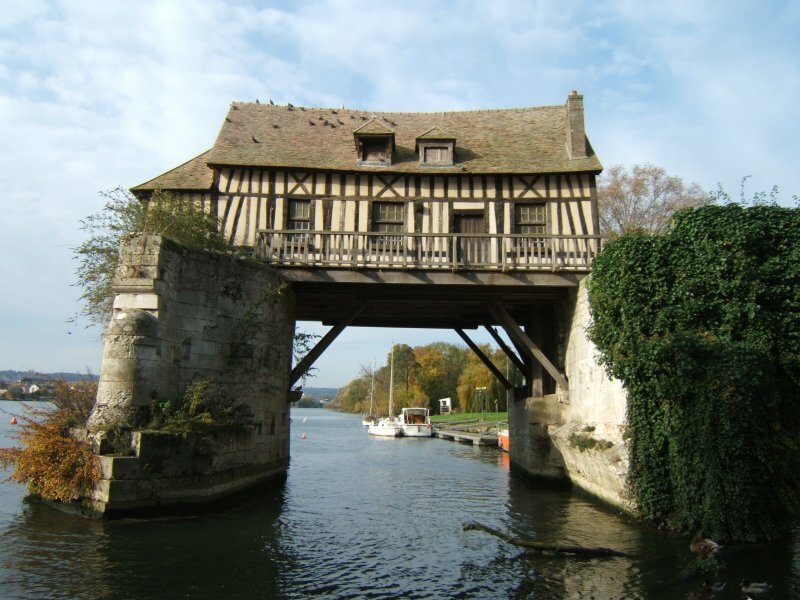 May I have your permission to use the image of the house overhanging the Seine in my website (I presume there is a copyright). Eventually, I will have a page with the theme being “Strange Architectures around the world”. Of course, I will give yourself and your website due credit (via a link to your website).